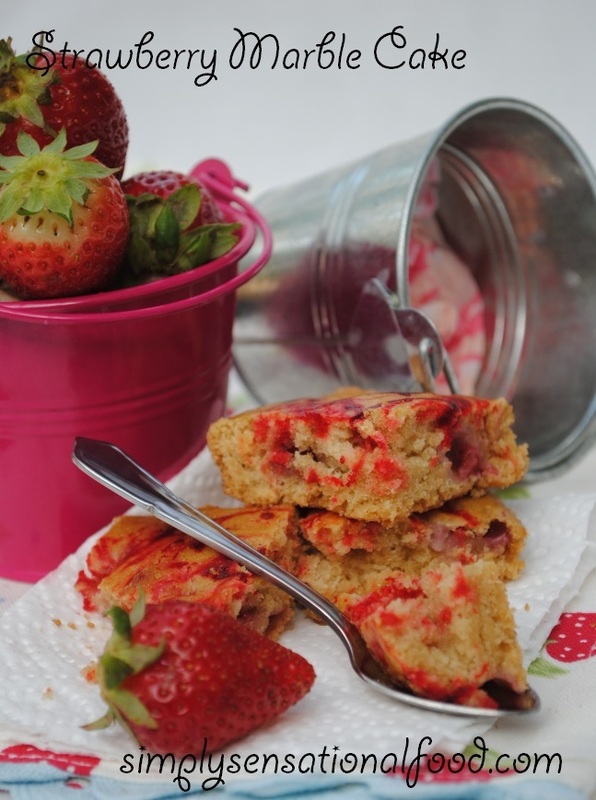 Luscious strawberry in a moist sponge makes this cake delicious. 1. Preheat the oven to 180 degrees C / gas mark 4. 2. Mix the egg replacer with 4 tablespoons water whisk and keep aside. 3.Mix together the butter and 225 g sugar until light and fluffy. 5. Add spoonful of flour and egg replacer alternately into the butter and sugar and fold it in until all the flour is mixed in. 7. 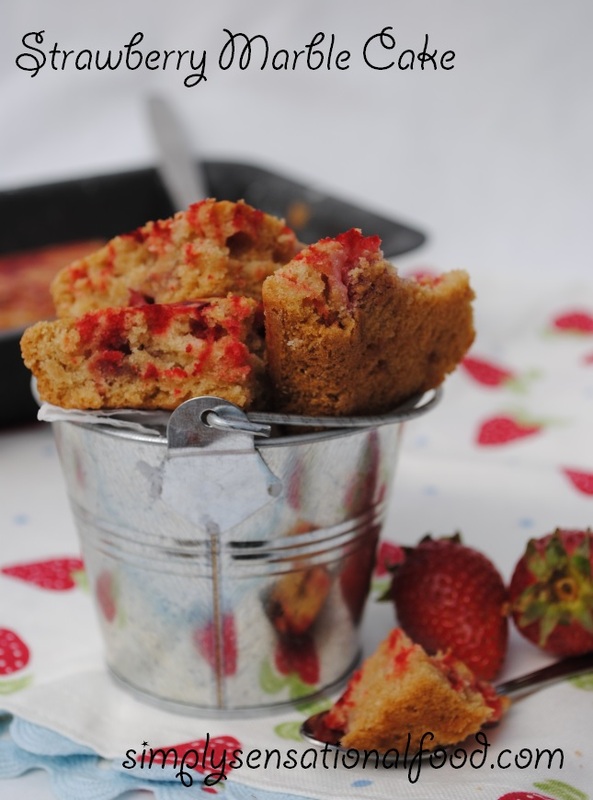 The remaining 1/4 of the strawberries place in a food blender with 2 teaspoons sugar and whizz blend them to form a smooth puree. 8. Sieve the puree to remove pips. Add 1 teaspoon red food colour to this puree and mix it in. Pour the puree into a plastic piping bag and keep aside. 9. Grease and line a rectangular cake tin . 10. Pour the cake batter in the tin and tap the tin gently to spread the batter out evenly. 11. 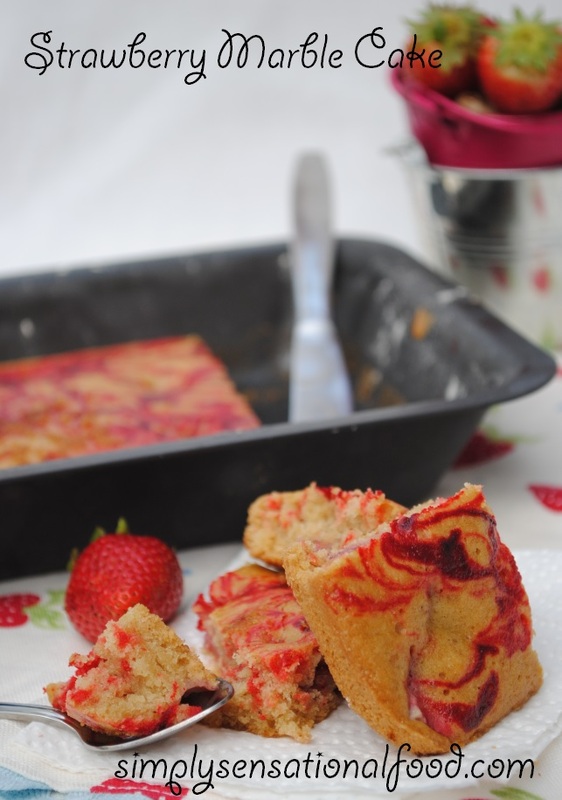 Cut a tiny hole in the piping bag and pipe red swirls all over the top of the cake batter. 12. Using a cocktail stick swirl the red strawberry puree into the batter. 13. Place the cake in the oven to bake for 35-40 mins at 180 degrees c /350 degrees F . Check the cake is done by inserting a skewer in the cake if it comes out clean cake is baked. 14 Remove from oven and cool on a wire rack before serving. 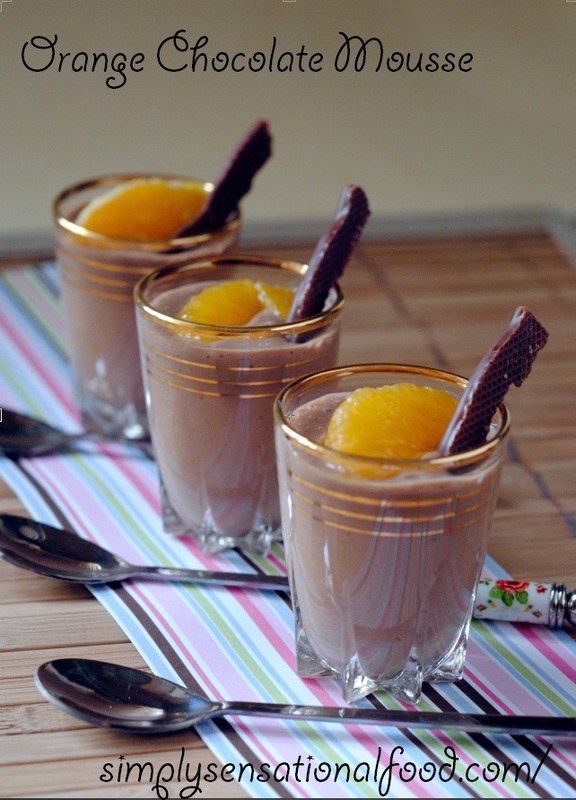 Orange Chocolate Mousse Vegetarian friendly and Shaken Udder Milkshakes giveaway. 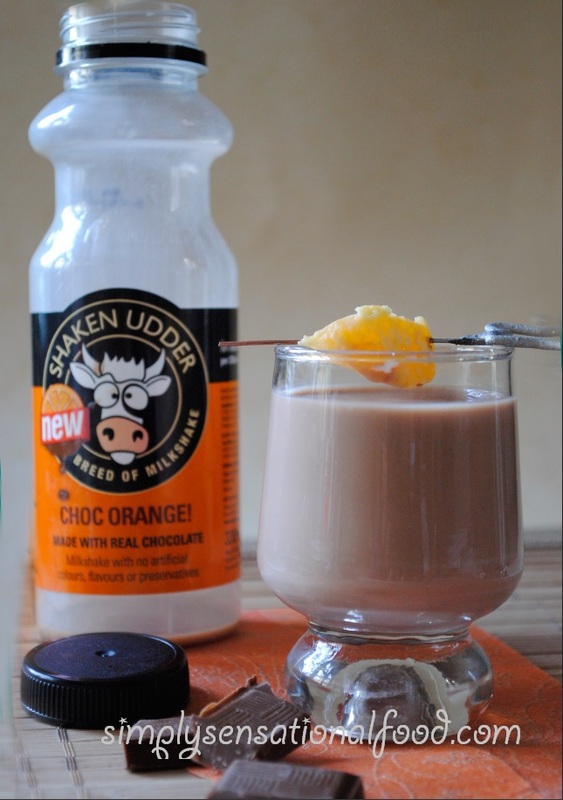 I recently wrote about some yummy milkshakes that I was sent by Shaken Udder, we really enjoyed them and we not only drank them but created some awesome desserts with them too such as Banana caramel Ice cream and Orange chocolate mousse. 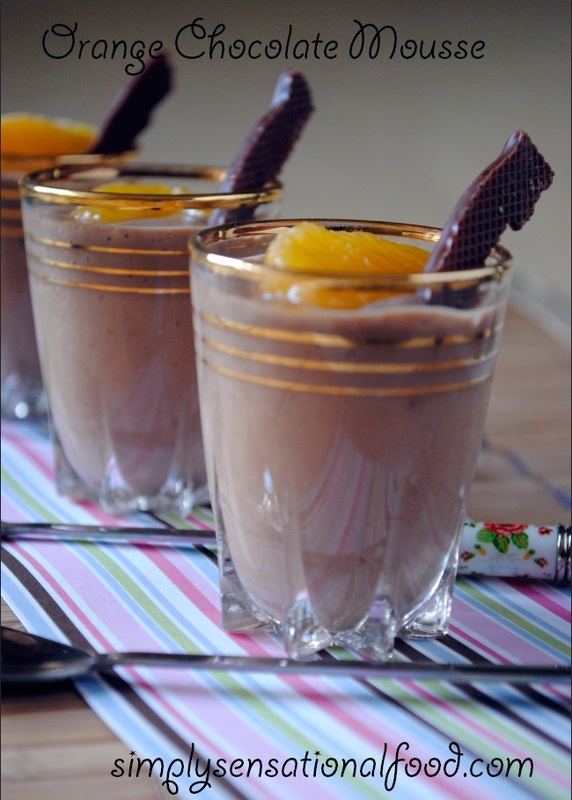 Creamy rich and chocolicious with a hint of orange chocolate mousse. 1. Add the milk to a pan and add the agar agar flakes and sugar bring to boil, keep stirring until agar agar and sugar are fully dissolved. Turn off heat and add in the chocolate and keep stirring until its all melted. 2.Whisk the milk shake until thick and creamy. I used my milk frother for this.Add the orange essence and mix it in. 3. Fold the agar agar mixture to the whisked chocolate milk shake to combine it. 4. Spoon the mixture into small shot glasses. 5. Place the mousse in the fridge for 4 hours to semi set. NB- Due to this mousse being gelatine free it does not set fully and will have a creamy smooth texture. 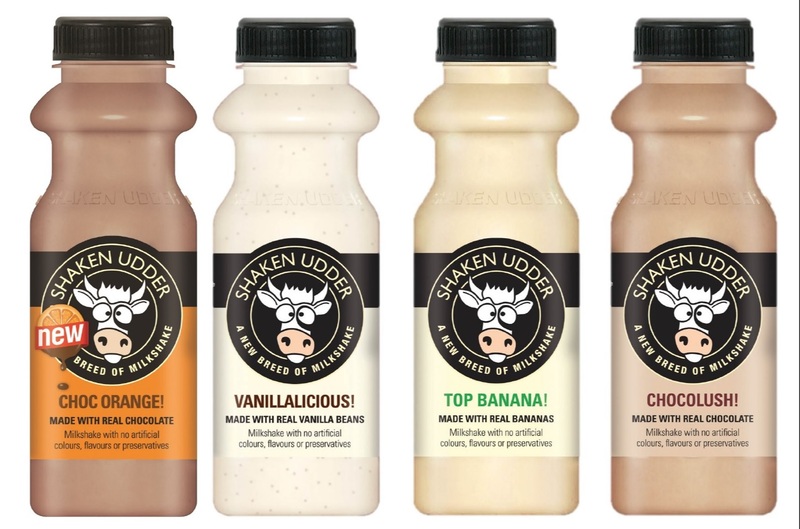 I was sent the Shaken Udder milkshakes to try and they have been very kind and have agreed to provide two simply.food readers 16 bottles of their milkshakes each for a giveaway prize. This is my assignment with the Secret Recipe Club.The aim of the club is that you are allocated a blog from which you have to select a recipe and try it and blog about it. My assigned blog was Mele Cotte.This blog is written By Chris who is from an Italian background.Browsing through her blog there were many recipes that caught my eye but one that I immediately want to try was her Apple Crumb Bars.Being the christmas holidays I always have an invite or two to someones house, a baked goodie makes a perfect edible pressie. 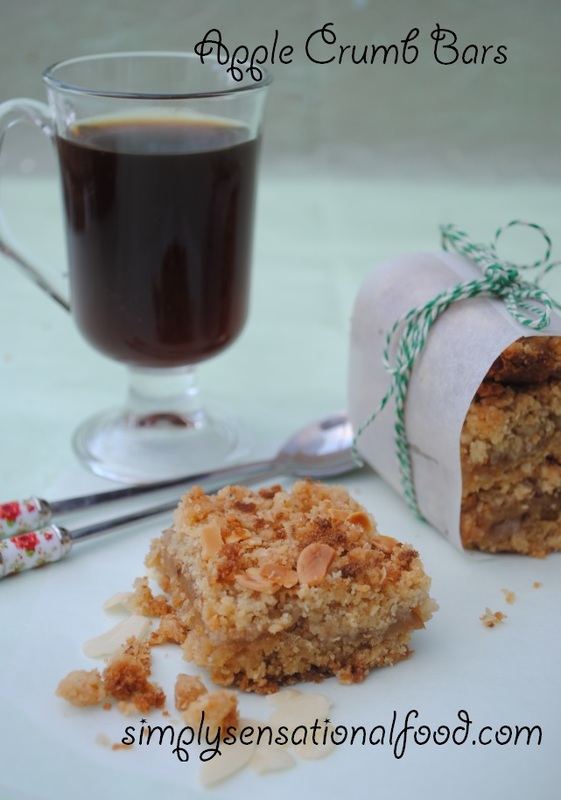 You can find the original Apple crumb bar recipe here. 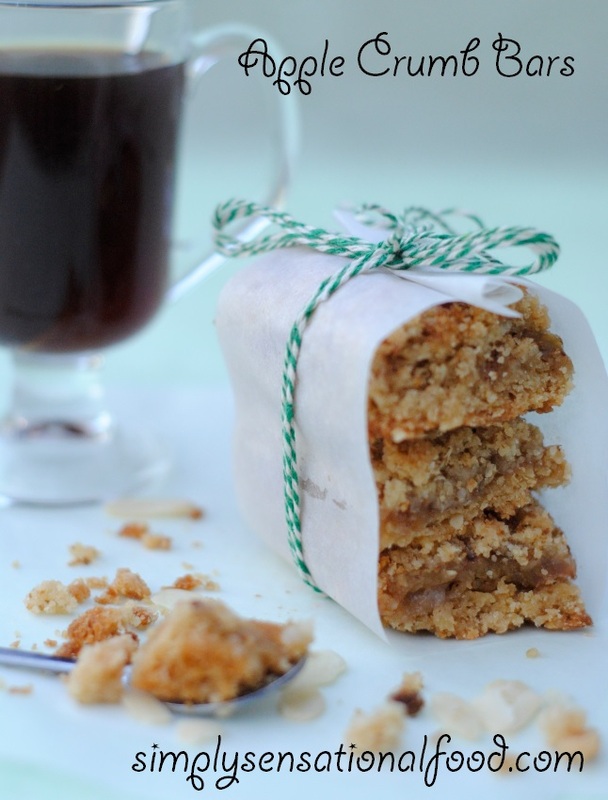 Crisp baked oats and apple bars with a delicious cinnamon crumb topping. 1. Heat oven to 175°C/ 350° F.
3. To prepare crumb topping take a medium bowl and add to it the flour and rub in the chilled butter to form a bread crumb type mixture, stir in the oats and sugar and set aside. 5. To prepare the bottom layer take a medium bowl and add to it the flour, salt, baking powder and chilled butter and rub gently to form a crumb type texture. 6. Stir in the oats and sugar and add the egg replacer and mix together. 7. Spread this mixture into the greased and lined baking tray and smooth it out. 8. Arrange the apples in cinnamon sugar over this layer. 9. Sprinkle the crumb mixture over the apples and smooth it out so that it forms an even layer. 10. 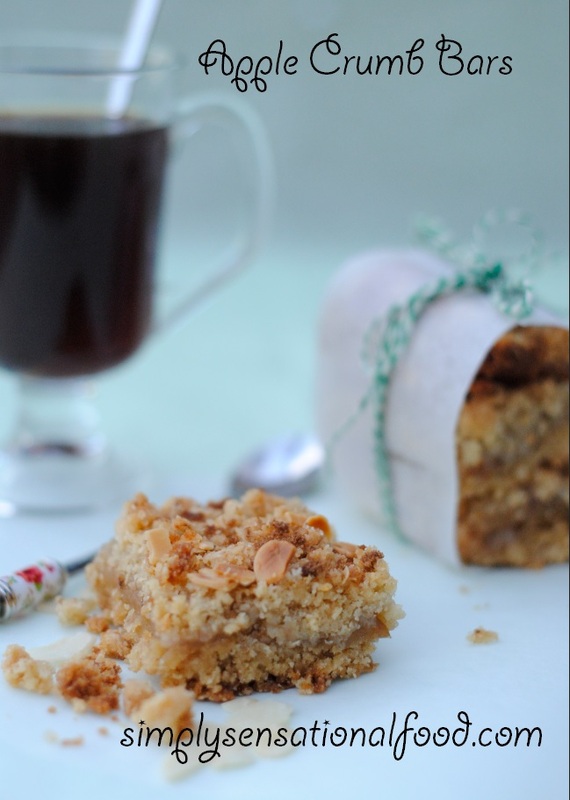 Bake the apple crumb bars in the preheated oven for 25 minutes. 11. After 25 minutes of cooking sprinkle some almond flakes on the crumb bars and return to the oven for another 10 minutes or until the crumb mixture is golden brown and apple are cooked. Remove from oven and leave to cool completely before cutting into bars. I love milkshakes and its such a good way to get your children to drink milk without making a fuss. Making milkshakes at home is fairly simple and can be made with avariety of fruits but sometimes when we are out or need lunch on the go its not practical to carry homemade milkshakes.In this situation Shaken Udder milkshakes are perfect for on the go. 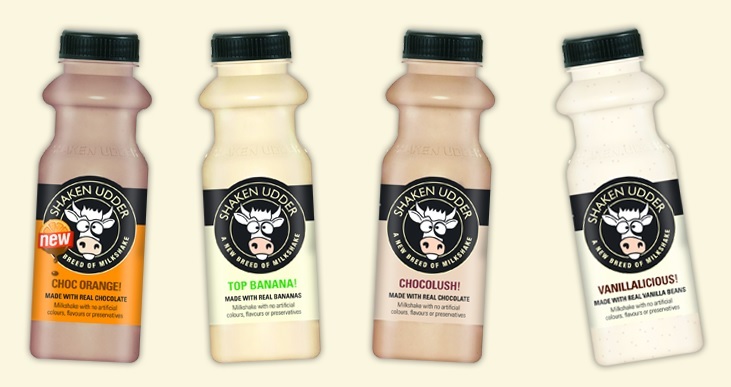 Shaken Udder is a range of delicious milkshakes made from fresh British milk, combined with finest ingredients such as Belgium chocolate, vanilla beans, fresh strawberries and real bananas, no artificial colours or flavourings are added the the milkshakes.The milkshakes have less than 5% added sugar providing a good source of Calcium. 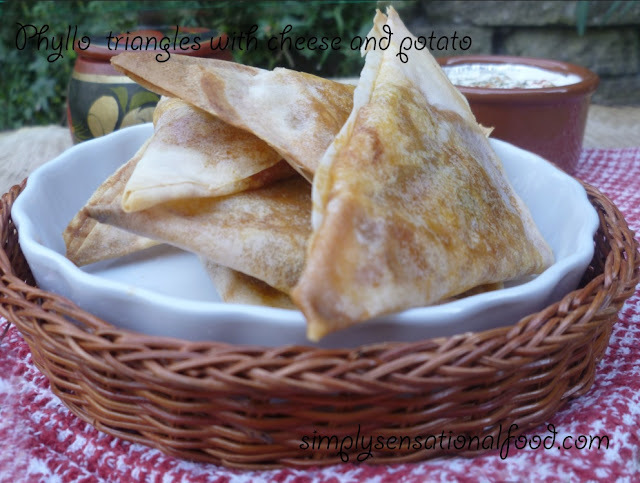 They are gluten free and suitable for vegetarians too. The four amazing flavours are Choc Orange, Top banana, Chocolush and Vanilllalicious. 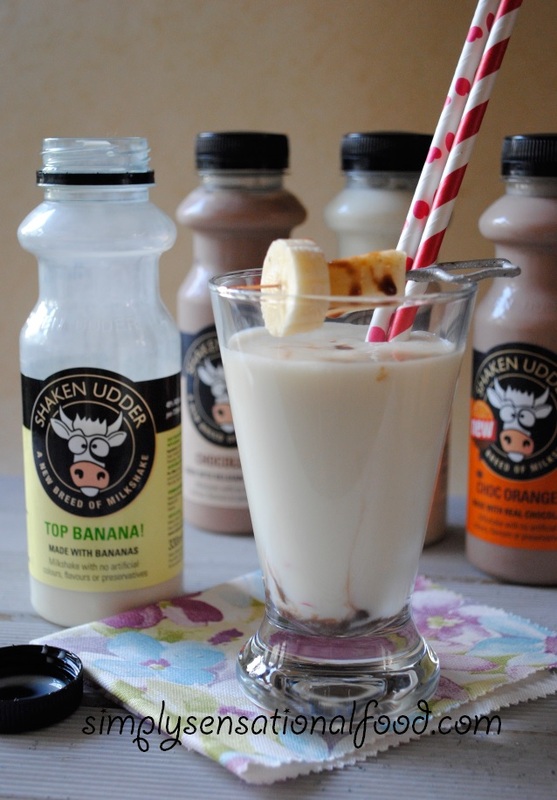 Having tried all the flavours my favorite was the choc orange however my family disagreed and voted for the banana.The milkshakes are available in Waitrose, Sainsburys and Tesco. You can also purchase them online. The online price is £ 14.00 for 8 bottles. In the photo above you can see we enjoyed the top banana flavour , perfectly chilled and served with a garnish of banana slices covered in chocolate sauce. Apart from drinking the shakes, I am sure you can create icecreams with them too which is going to be my next task. Thankyou to shaken Udder for sending me the samples. All the views expressed in this review are my own. In the summer it’s nice to have refreshing soft drinks but I prefer to serve soft drinks that are low in sugars and made from fresh fruits rather than concentrates with additives in them. 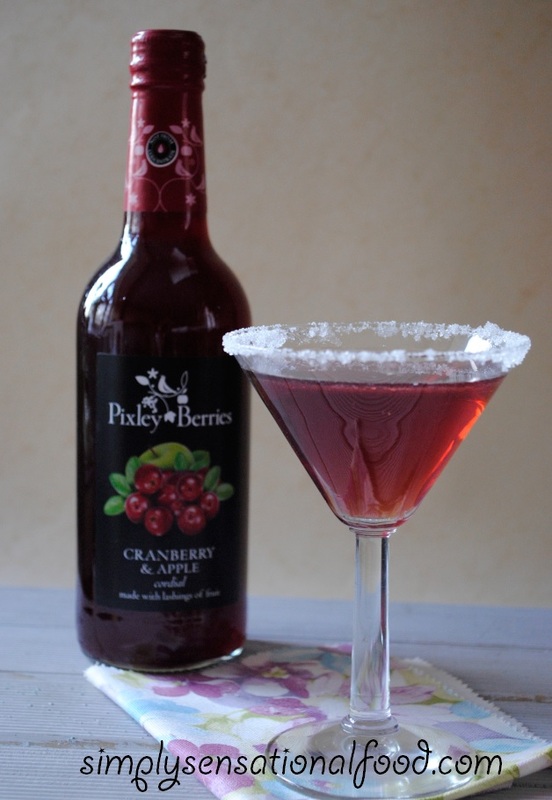 Pixley Berries cordials are made from fruit juices, sugar, and water. They are completely free from additives and preservatives and are not made from concentrates.The cordials come in three flavours blackcurrant, cranberry and apple and blackcurrant and raspberry. Pixley Berries sent me the Cranberry and Apple flavour to sample. I tried it diluted with ice cold still water and also tried it by diluting it with ice cold sparkling water. I definitely preferred mine with the sparkling water.You could taste the cranberries and the sweetness of the apple which left a pleasing sensation on the palate. All the berries used in the cordials are carefully selected from suppliers and pressed to retain the flavours of them. Each bottle will provide 12 servings .The cordials are perfect for making mocktails, cocktails or even added to fruit salads and used as flavourings. They are available to purchase from Waitrose and online. Thank you to Pixley Berries for sending me a bottle of the Cranberry and Apple cordial to try, all the views and opinions expressed in this post are my own. In the kitchen we have many gadgets but one that I find I use frequently is my whisk, be it for whisking cream for toppings, batter for pancakes, frothing milk for lattes or whisking eggs for an omelette. I find that using an electric blender somewhat cumbersome if I want to whisk something in a hurry. 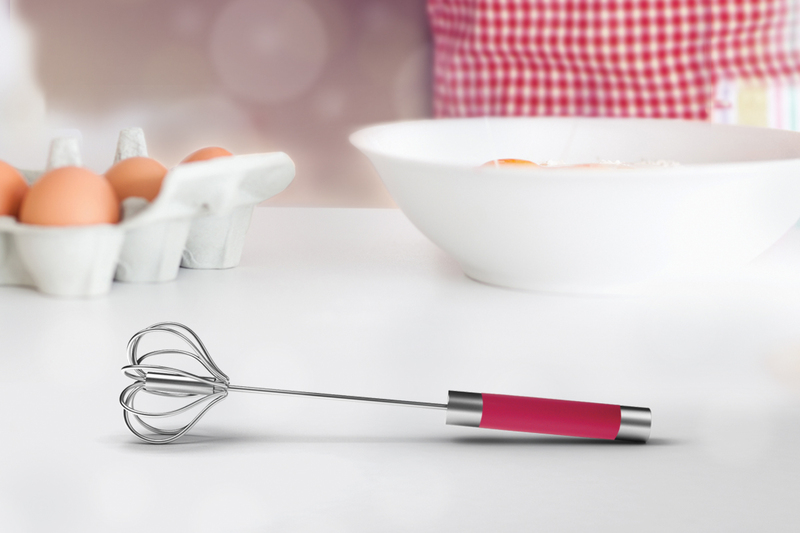 That’s when my heart rotary whisk is perfect for those simple whisking tasks in the kitchen. It is constructed from stainless steel with silicon and plastic making it light and easy to use. 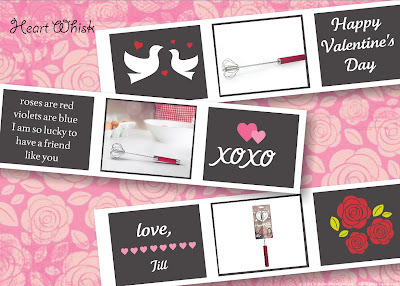 The heart whisk is a push rotary whisk that needs no batteries, but uses a clever mechanism to turn pushing action into a spinning whipping motion helping to save time and effort whenever you bake. Washing it is absolutely no problem as all that is required is to run the whisk under some running water and it’s clean in jiffy. The heart whisk can be bought on line from Mustard and retails at £ 12.00. 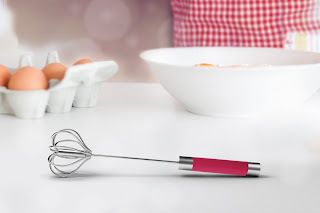 It is a wonderful gadget and perfect for all whisking tasks especially frothy milk for cappuccinos and lattes.I would like to thank Mustard for sending me the whisk to use, all the views and opinions in this post are my own. With Valentine’s day just around the corner Mustard have teamed up with simply.food and are offering two simply.food readers a heart whisk each to gift to their valentine. Punjabi style broccoli and potato curry flavoured with aromatic garam masala and cooked in a spicy sauce. 1. Place the baby potatoes in a large microwaveable bowl with 3 tablespoons of water and microwave them on high for 8-10 minutes until potatoes are cooked. Remove from microwave and peel off the skin. If some potatoes are bigger than others cut them into halves. 2. Place the broccoli in the microwaveable pot and add two tablespoons of water, cook the broccoli for 5 minutes until its cooked.Remove from microwave drain and keep aside. 3. In a large wok add 2 tablespoons of oil and wait for it to heat up ,once its hot add the potatoes and broccoli and stir fry until both start to crisp up slightly (takes about 5 minutes.) 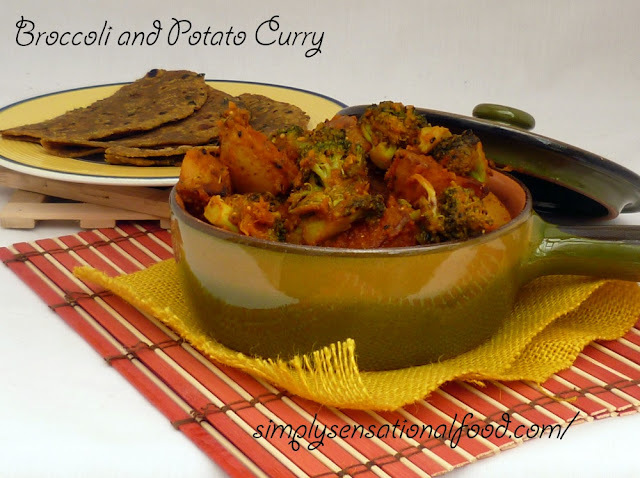 Once both broccoli and potatoes are crisp turn off heat and keep aside. 4. In another pan add the 1 tablespoon of oil and wait for it to heat up.Once hot add the mustard seeds and wait for them to pop, add the garlic and saute for a few seconds. 5. Add the passata , salt, chilli powder,cumin powder,coriander powder and garam masala and saute the spices in the passata until they are fully infused. 6. 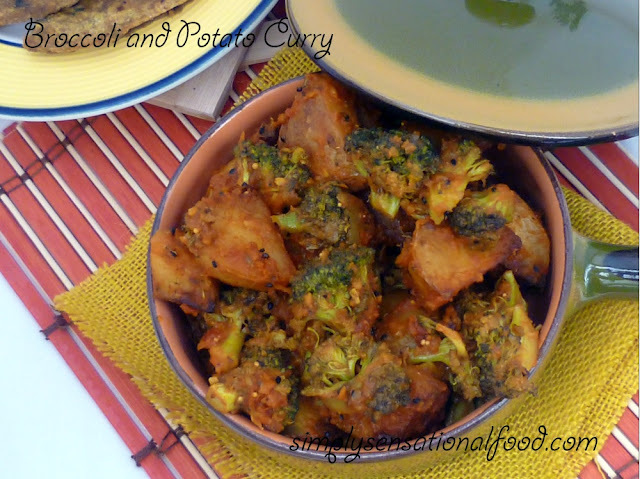 Add the stir fried broccoli and potatoes to the gravy nad toss until all the spice mixture has coated the potatoes and broccoli. 7. 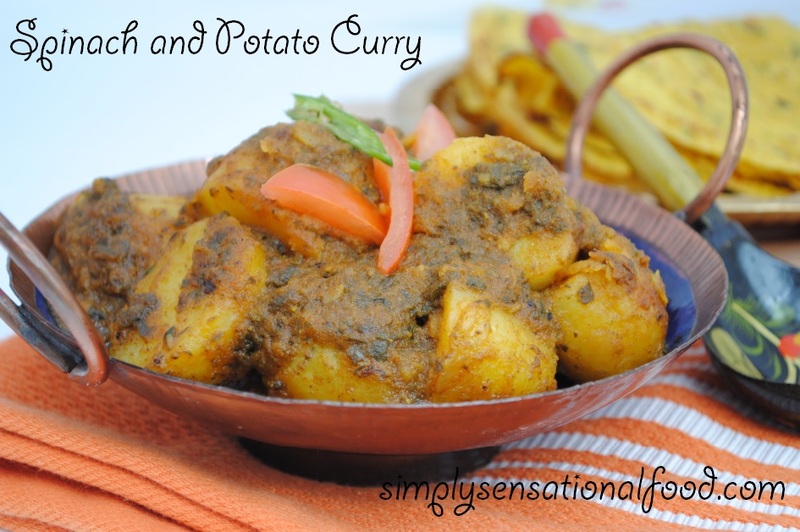 Reduce the heat and cook the curry for 4-5 minutes on a low heat to allow the spices to infuse. Transfer the curry to a serving dish and serve with paratha. 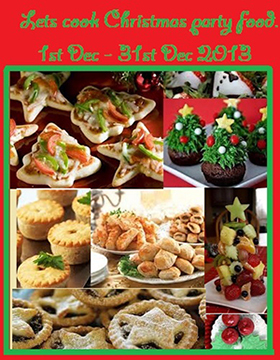 Thankyou for all the wonderful entries, here is the lovely round up of the dishes. The “Flavours of” series started on 1st August 2010 which began in India in Flavours of Series 1. From there we travelled from India to Flavours of series 2 to Asia, we sampled wonderful delights here after which we travelled to Africa in our Flavours of series 3 and finally we journeyed to Europe in Flavours of series 4. Over the last three years we have travelled the world from East to West on a taste tickling and tantalising culinary journey. The monthly events were wonderfully supported by all my fellow bloggers who supported the series and helped by guest blogging the events or by participating. I appreciate everyone's support. For me personally it has been the most inspiring virtual culinary journey I have ever made. 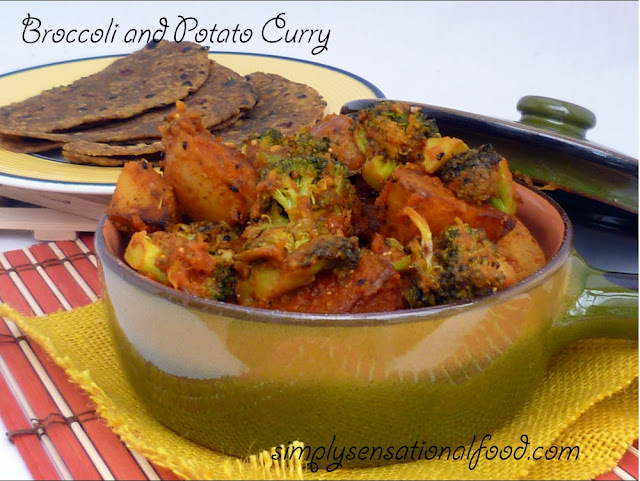 I have learnt to cook and sample so many different types of cuisines which were once unknown to me. 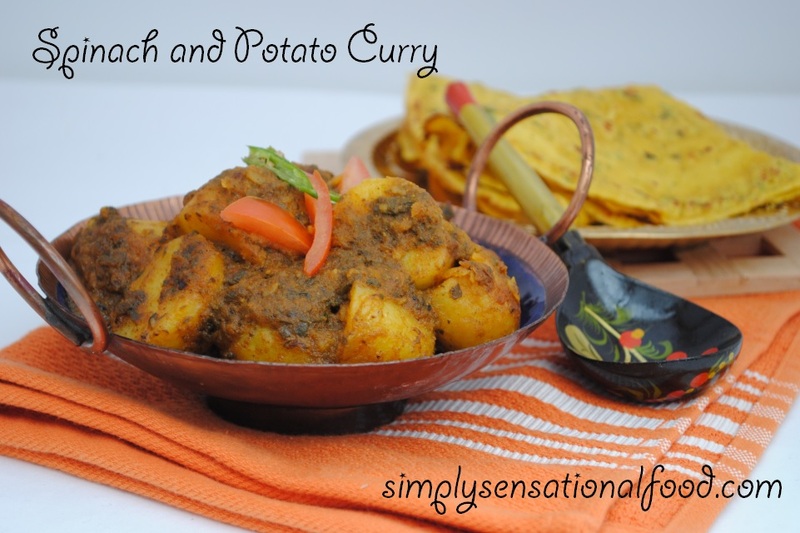 Together with all the rich flavours, I came across many wonderful new ingredients which are now part of my pantry. My culinary palate has most certainly broadened and I have lots of inspirations for new dishes now. 2.You can submit multiple entries but you can only submit one entry per country. 3.Please put in the post title which country you are cooking from, if you send more than one entry from any country only the first entry will be counted. 4.No archived recipes allowed, I would prefer that you cook a new recipe to link up. For inspiration and ideas please check out the round ups for the whole series here. 5.You must link this event post in your entry, this is mandatory. Event logo is not compulsory but using it would be nice as it helps to spread the word. 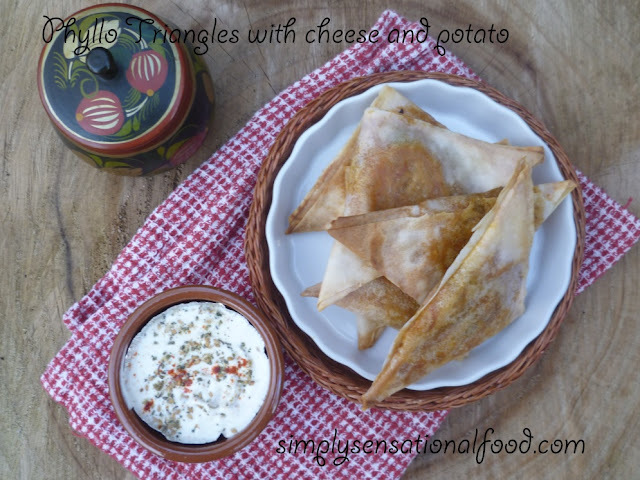 6.Please link your post using Recipe Name and URL in Linky below.